This gentleman's chest is a beautiful bedroom accent. Tinted drawers with French and English dovetail joinery are durable and easy to use, while a felt-lined top drawer lets you safely store choice items. 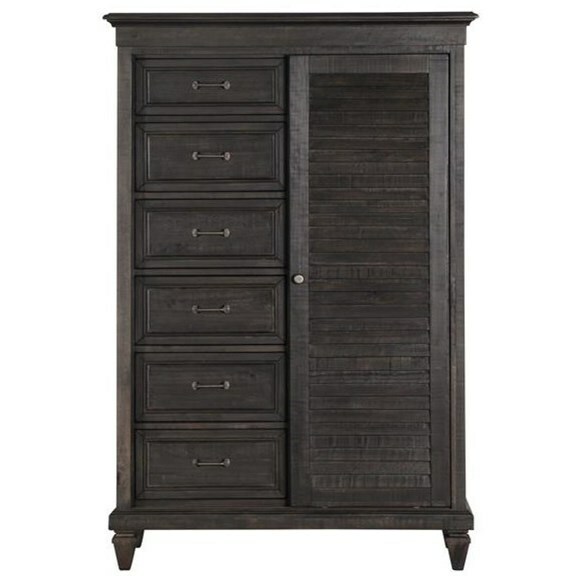 The sliding door reveals two drawers, two removable shelves, and a clothes rod. This piece is also sealed for dust proofing. 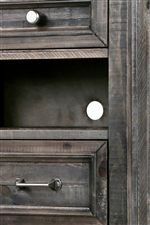 Brushed pewter drawer pulls and knobs add to the functionality and rustic design of this chest. The Calistoga Gentleman's Chest with Sliding Door by Magnussen Home at Reeds Furniture in the Los Angeles, Thousand Oaks, Simi Valley, Agoura Hills, Woodland Hills, California area. Product availability may vary. Contact us for the most current availability on this product. 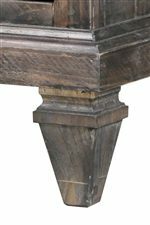 The Calistoga collection is a great option if you are looking for Transitional Traditional furniture in the Los Angeles, Thousand Oaks, Simi Valley, Agoura Hills, Woodland Hills, California area. 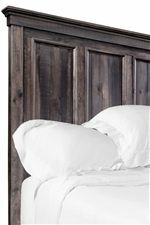 Browse other items in the Calistoga collection from Reeds Furniture in the Los Angeles, Thousand Oaks, Simi Valley, Agoura Hills, Woodland Hills, California area.